Christianity has always been about being saved. But today what Christians need saving from most is the toxic understanding of salvation we've received through bad theology. The loudest voices in Christianity today sound exactly like the religious authorities who crucified Jesus. 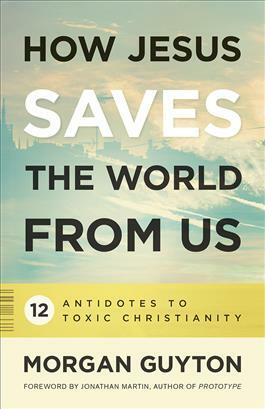 This is a book for Christians who are troubled by what we've become and who want Jesus to save us from the toxic behaviors and attitudes we've embraced. Each of the 12 chapters proposes a paradigm shift and antidote for the toxicity that has infiltrated Christian culture, such as "Worship not Performance, "Temple not Program," and "Solidarity not Sanctimony." Each chapter includes thought-provoking discussion questions, perfect for individual or group study.